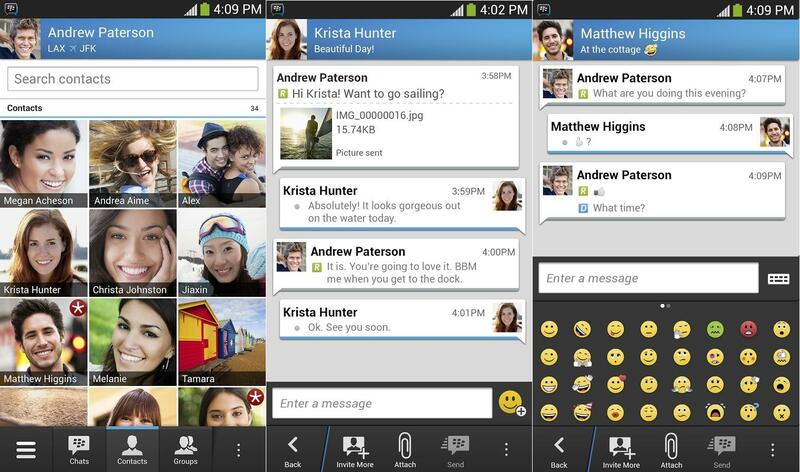 BlackBerry has relaunched BlackBerry Messenger (BBM) for Android and iOS. New users will have to wait for a notification email before they can use the app. If you signed up when BlackBerry tried to launch the app a month ago then you’ll be given access right away. 10 million downloads and 60,000 five-star reviews from 87,000 people in 24 hours! I think this is the biggest app launch ever! Why not using Google Hangout or Facebook Messenger?